CEREC Ceramic Restorations | Jacksonville, North Carolina | Carl R. Kriebel, D.M.D., P.A. Welcome to the Future! 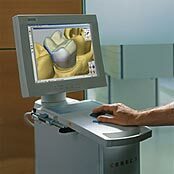 CEREC uses a technology called CAD/CAM (Computer Aided Design/Computer Aided Manufacture), to design a life-like restoration that protects and preserves your tooth's structural integrity. Imagine a smile without silver fillings. Imagine a smile where your white fillings do not stain. CEREC uses bio-compatible ceramics, giving that perfect look, beautiful qualities that help restore your tooth back to its original appearance. It is unquestionably the most cost effective restoration we have available today! 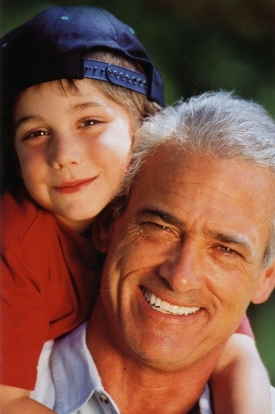 As we get older, our teeth become brittle and crack due to the expansion of silver fillings. The silver fillings tarnish and stain our teeth making them look dark and ugly. Most insurances will only guarantee a silver or composite filling for a short amount of time, allowing them to be restored over and over again. This costs more money and causes the loss of additional tooth structure. CEREC restorations with their tooth-like nature will only need to be done once with the removal of all of the decay. The cost savings is undeniable in the long run. With routine preventive maintenance, our office gives our full guarantee on our CEREC restorations. Rejuvenate your smile, and feel good about smiling again!